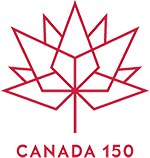 In 2017, Canada's sesquicentennial year, our goal was to encourage generosity as a way of life, and to make giving a habit, not a reflex. Powered by Chimp, and thanks to a generous philanthropist, we were able to offer a matching program to help stimulate habitual giving. The matching program is now over, but stay tuned to see what's next in 2018! Charity is all around us. From soup kitchens to philharmonic orchestras, some of the very best things in public life are the results of generous giving. You may not even realize it, but you are surrounded by countless acts of charity. In order for public life to flourish, then, giving matters. So, the steady decline in Canadian giving is serious since it will have public consequences. Of course, we know that the teachings of many religious communities stress the observance of regular giving, and the faithful stewardship of resources. Giving does not get in the way of life, but is a way of life. But, even religious groups today are not immune from the general decline in giving we see across the broader Canadian culture. Check out Chimp's Guide for Social Fundraising.